It's crazy to think how much different our house looked two years ago. 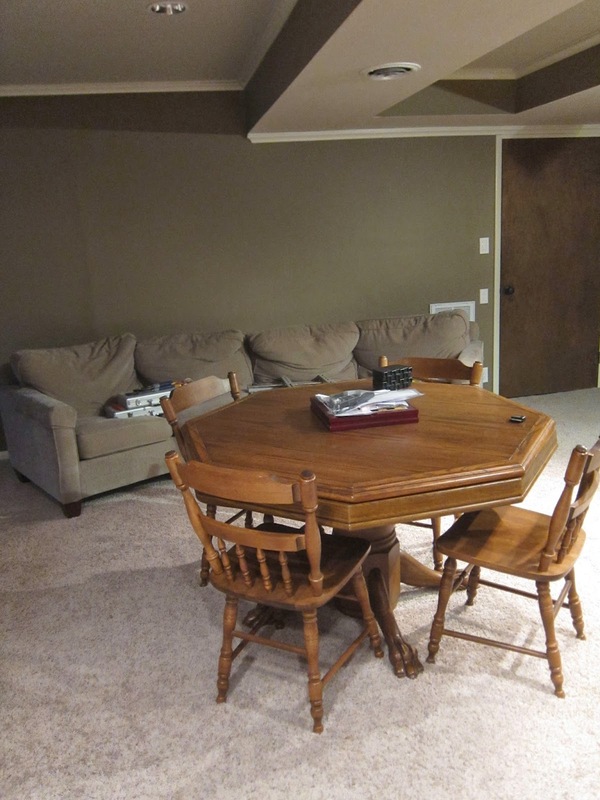 This was our basement right after we moved in, before the pool table and before the movie theater took over. As far as furniture and decor go, I've let Brian do his own thing in the basement and make all of the decisions. (Actually, he makes most of the decisions in every room, simply because I don't really care and I'm not that great with interior design). The other side is the pool table. The leather couch in the middle was left behind by the previous owners, and the other furniture came with us from the condo we lived in prior. We got by with what we had and overall I really liked it! 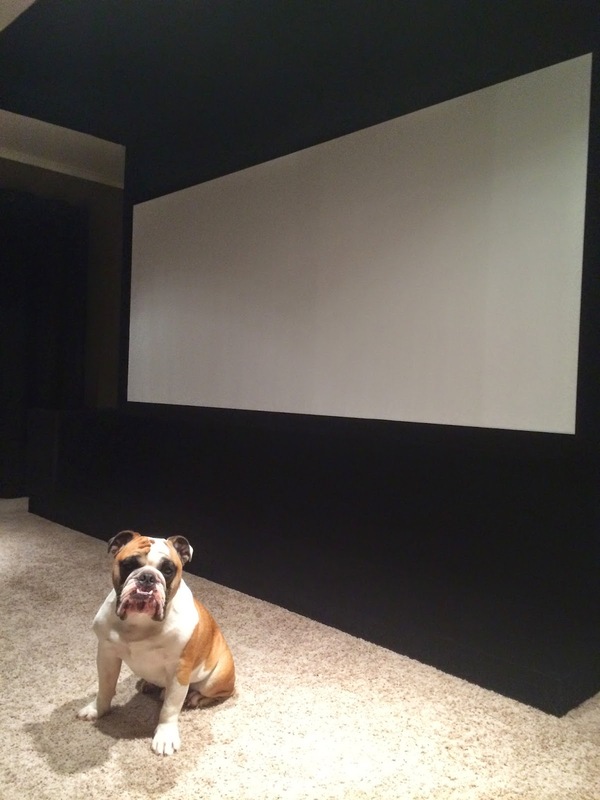 Brian had been thinking a lot recently about getting a projector to enhance his movie watching experience, since that's a nightly routine for us (although Otis and I usually fall asleep a few minutes into it), so he finally broke down and made it happen. I helped...like a tiny, tiny bit. He also bought theater seating, which makes it impossible for me to cuddle with him while I'm sleeping through the movie. (I think that was one of his goals in purchasing a set like this). We watched our first 3-D movie the other night, so that was cool. I haven't mastered sleeping while wearing 3-D glasses....yet. Here's the other side of the room. Brian mounted an old TV on the wall and hung up the creepy artwork that I don't much care for. Brian found this taxi piece (shown below) at the Brier Creek flea market, "Estatables", along with two bar chairs to place around the pool table. And now we have an unfinished section of the basement that's filled with a lot of unused furniture. One of these days I'm gonna tackle this junk room.